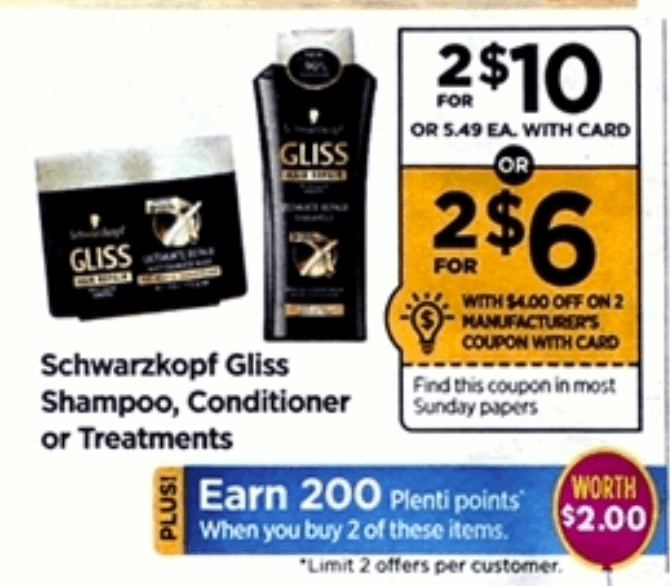 We have a great deal on Schwarzkopf Gliss Hair Repair at Rite Aid starting Sunday, 5/7. Schwarzkopf Gliss Hair Repair will be on sale for $5.00 each, must buy 2 to get this price and when you buy 2 you will earn 200 Plenti Points ($2.00, limit 2). After sale, coupon and mail in rebate we can score these for just $0.50 each when you buy 2!